This interview originally appeared as part of Nintendo’s Nintendo Online Magazine in Japan in 2001. The subject of the interview is The Legend of Zelda: Oracle of Seasons/Ages director Hidemaro Fujibayashi, who was a staff member of Capcom at the time and had previously designed Magical Tetris Challenge. Back in the day, Capcom’s Yoshiki Okamoto (Street Fighter II) founded an internal scenario-development studio named Flagship, of which Fujibayashi was a part. Flagship were contracted by Nintendo to work on a series of new Zelda games for portable Nintendo hardware, and began with The Legend of Zelda: Oracle of Seasons/Oracle of Ages. Fujibayashi acted as “Planner” (the Japanese term for designer) on the two games, marking his first stint on Zelda. Fujibayashi would later go on to direct The Legend of Zelda: Four Swords, The Minish Cap, Skyward Sword, and of course Breath of the Wild. Read on for the interview. Q: I hear that this new Zelda’s development began at Capcom. Fujibayashi: Yes. From what I heard, our Okamoto [Executive Director Yoshiki Okamoto] told Mr. Shigeru Miyamoto, “I’d like to create a Zelda at Capcom.” That was about two years ago. After that, the staff without a project on their hands started to create a 2D game based on the Famicon Legend of Zelda. 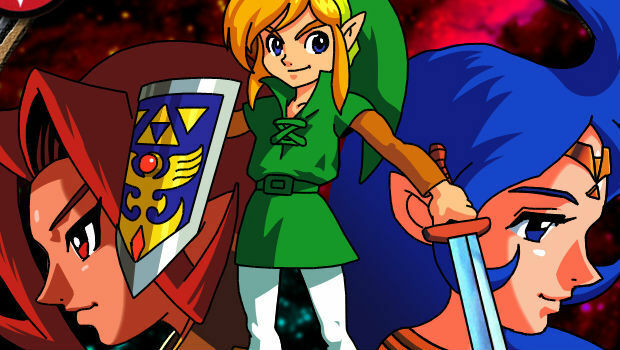 The concept was to convey the greatness of the Famicon generation Zelda to the current generation. Q: Fujibayashi-san, were you a Zelda fan, too? Fujibayashi: Yes. In the case of the Famicon game, I went straight to the toy store to buy it. I remember running to buy it, fist tight around my New Year’s money. Q: Did you participate in the [Oracle] project from the get-go? Fujibayashi: At first, I participated as a kind of secretary that put all the ideas together. Back then, I was only an open ear to the concepts being tossed about, but I gradually began to take part in the actual development of the game. The idea was first to make a presentation to Mr. Miyamoto, so I wrote a proposal based on Okamoto’s concept. Q: Had the game’s contents already been decided upon at the time of the proposal? Fujibayashi: The core of the game was pretty much decided. That is to say, the fact that it would be on the Game Boy Color, the use of the four seasons, and the decision to retain the feel of the 2D Zelda games. It was also decided that it would be a series, so I thought the link system up as a way to make use of that idea. I wanted, for example, that if you missed an enemy in the first game, you would encounter it in the next one. That’s the kind of game I wanted to make it. Zelda is a game with a solid world, so I thought we could express the characters’ “existence” like in the N64 games on the Game Boy, too. Q: What was Miyamoto-san’s reaction? Q: Was that the signal for work to begin at Capcom? Fujibayashi: Yes. Afterwards, I worked on the scenario while reporting regularly to Okamoto. I was the director and planner then. Q: I heard that Capcom begins development by writing the scenario. Fujibayashi: Yes. But I believe the Zelda series really only started to have scenarios after the hardware specifications improved. The original Zelda was a pure action-RPG and didn’t have much of a story to begin with. I wanted to combine both those aspects (action-RPG and an actual scenario) this time around. At first, we’d only planned on creating a game one-tenth the size of the final version. But it just kept growing as development progressed and gradually turned into an original game. Q: Were Oracle of Seasons and Oracle of Ages developed by different teams? Fujibayashi: No, we developed them one at a time with the same team. At first it was just me exchanging ideas with the scenario team. Then, as the scenario progressed, I discretely approached the Capcom artists and programmers I was interested in. This sort of HR thing is normally handled by my direct supervisor Funamizu [Producer Noritaka Funamizu] but I thought I’d best sound the staff off first. Funamizu scolded me saying “that’s my job,” but I still got the staff members I wanted to join the team. Q: From then on it was probably the actual game creation that started, but could you give us a simple progress plan? Fujibayashi: We began with a rough image of the game. After thinking up the topography, we created the map. After the rough map was done, we thought up the characters. We also altered the scenario as we made the game. Q: Were there times when you would also redo the whole field? Fujibayashi: Every day. When actually moving around in it, every time something felt wrong we’d end up correcting it. When we were about 60% done, Mr. [Yoichi] Yamada from Nintendo came in as a supervisor. From that point on, I was able to talk with Mr. Miyamoto. I then started absorbing the outlook he had on Zelda as my own. Q: Are there any interesting stories regarding the joint development with Nintendo? Fujibayashi: Back in the day, I’d play Nintendo games and think all their games had a common feel to them. When I met Mr. Miyamoto, I clearly understood that there’s a logic behind the games he thinks up. Understanding that was a huge learning experience for our team. Another thing was that Mr. Yamada and co. would ask us “What’s this character’s name?” about characters we’d just randomly put in the game. Giving those characters a name really brings them to life and the staff’s attachment to them evolves, too. “You should name your characters”… such a simple sounding idea really opened my eyes to something important. This is just one example, but I feel like I was taught the secret to Nintendo’s “warm game feel”. What made me the happiest was that both Mr. Yamada and Mr. Miyamoto treated me as though I was a member of Nintendo. We talked not as Nintendo or Capcom staff, but as staff working together on the creation of a game. I believe that in the end, this kind of welcoming feeling influenced Zelda. Q: At the same time, I do believe that this game is also Capcom-ish. Fujibayashi: Rather than Capcom-ness, I believe it expresses the Capcom Zelda team’s personality. We used slightly deep characters in order to bring out the world’s appeal. It might just be the difference between Kyoto and Osaka [where Nintendo and Capcom’s main offices are located respectively] but the appearance of characters that are borderline outlaws might indeed be of Capcom-ish nature. However, ultimately I don’t believe there are any differences game system-wise. Q: Please share with us an exclusive inside story about development. Fujibayashi: There’s a “Dark Tower” in Oracle of Ages, with people made to work there. Their dialogue is along the lines of “There’s no end to this work” or “I can’t go home”. There were also team members that couldn’t go home much during development, so we put those characters in as a parody (laugh). But our team feels really cozy, so the general atmosphere was great. People who’d just come by with a message would end up in a meeting and chat with us for two hours before leaving again. Q: That warmth might very well have slipped into the game. Well then, what would be the highlight of the Oracle series in your opinion? Fujibayashi: This title was built upon the whole team’s personality. The highlight would be the many events and mini-games, as well as the dungeon gimmicks. We’ve thought up quite a few major gimmicks that would be feasible on the Game Boy. It’s packed with ideas from the whole team and is quite meaty. Q: What would you recommend the link system for? Fujibayashi: I believe that using the “password” and playing the two games as a continuation brings out a deeper feel to the world. It also lets you see the true ending after the story is over. New characters appear and there are definitely more events, so I would really recommend trying it out. Translation by Claire Rouveyrol. Edited by Ishaan Sahdev. Images courtesy Nintendo.